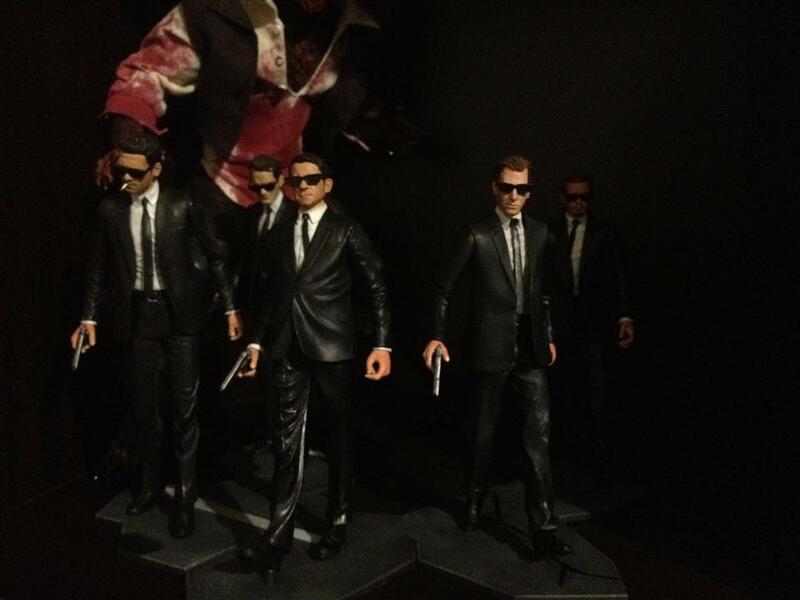 NECA Reservoir Dogs Box Set collected in Figure Collection by Tayler Rowe - Collected It! These guys are easily found on eBay for a pretty reasonable price, either separately or in the big box set which is what I opted to buy, only due to the fact that I couldn't be bothered chasing down each figure on their own. Detail isn't all that crash hot, but once they are all positioned in their iconic walking position from the movie, its unmistakable what these guys are from. If you are ever considering buying one of these box sets, I recommend going for the simple touch, just them together with sunglasses and hand guns Because if you try and place all the other accessories out (briefcase, gas can, milkshake) the scene becomes way too crowded and the magic is lost.